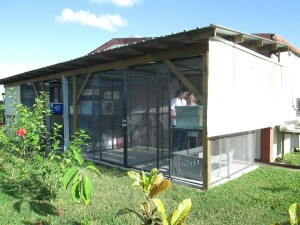 BWRC opened its doors to the first patients in May of 2012. The official inauguration was on October 19th 2012 and we hired our first employee, Dairy Grijalva in January 2013. One of our core philosophies is total transparency, in an effort to exceed no rivalries and encourage participation and cooperation. We would like to give an overview of 2013’s patients, equipment uses, staff and financials. From January 2013 to December 2013, BWRC saw 157 non-domestic patients and 284 domestic appointments. BWRC’s x-ray machine was used for 146 X-ray studies and the anesthesia machine logged 73.4 hours of use. 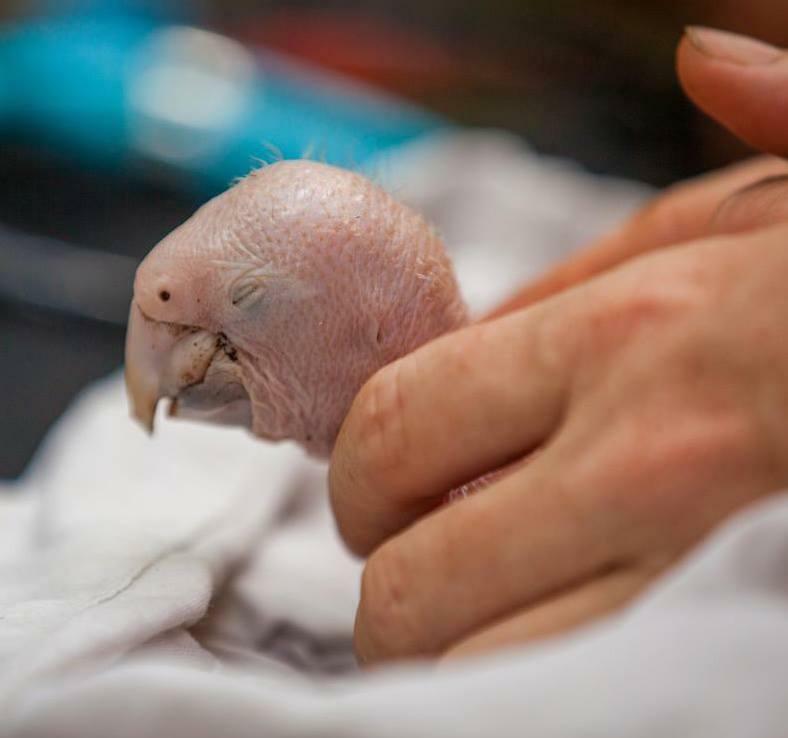 Wildlife species seen ranged from raptors to parrots including Scarlet Macaw chicks in the Chiquibul Forest Reserve, to hummingbirds and other avian patients, to mammals including many primates and even reptilian rescues ranging from Green Iguanas to American Crocodile. BWRC’s 2013 total “cash income” summed up to US$57,000.00. 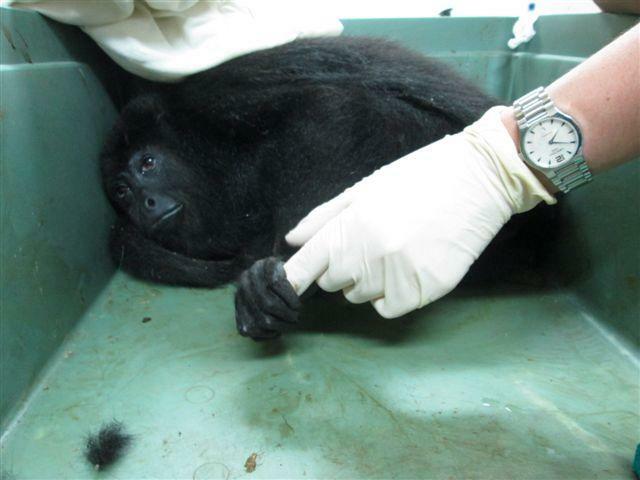 The aforementioned amount included grants (20,000), income from our educational programs through the Wildlife Institute and ISIS (~11,000), veterinary referral services, fundraisers, in person and online donations. Our total cash income however, did not include the donated value of logged volunteer hours of intern veterinarians, the volunteer director and founder, and other volunteers which added up to ~5,500 hours. 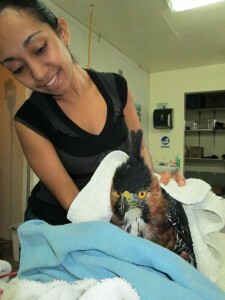 BWRC’s pricing structure http://www.belizewildlifeclinic.org/client-information/price-structure-and-prices/ had been set to offer free treatment and service to government owned rescued wildlife, as well as significant price discounts for conservation organizations. The best news were that, thanks to the support awarded to us by Summerlee Foundation as well as our education income, in 2013 BWRC was able to provide 100 % free treatment and service to the Forest Departments Wildlife Program as well as to all patients from conservation organizations. 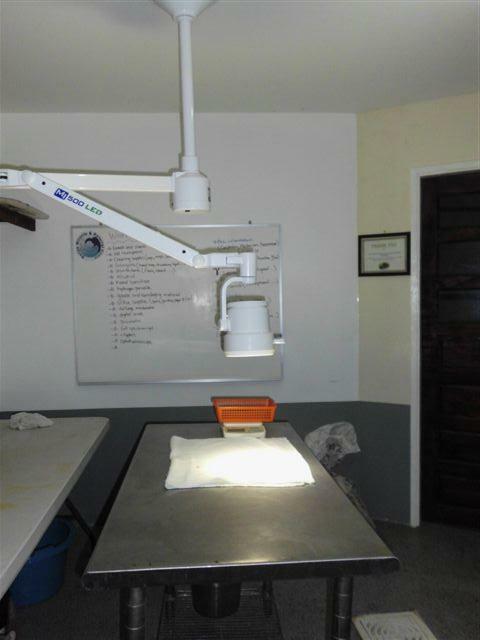 The total value of services and materials provided for the Wildlife Program of the Government of Belize in 2013 was US$6,800. NGO partners supported by us in wildlife conservation in 2013 were Wildtracks, Scarlet Six & FCD, Belize Bird Rescue, ACES and Tamandua Refuge. The total value of services and materials provided to these partners added to US$5,500. 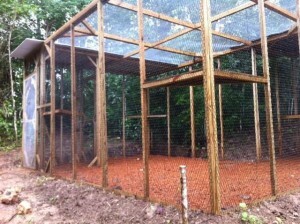 Funding support from the Peregrine Fund and Wolf Creek Charitable Foundation allowed us to finish a separate second examination or classroom as well as build some outdoor caging to hospitalize wildlife patients; therefore, minimizing stress and eliminating possibilities for contact with domestic patients. 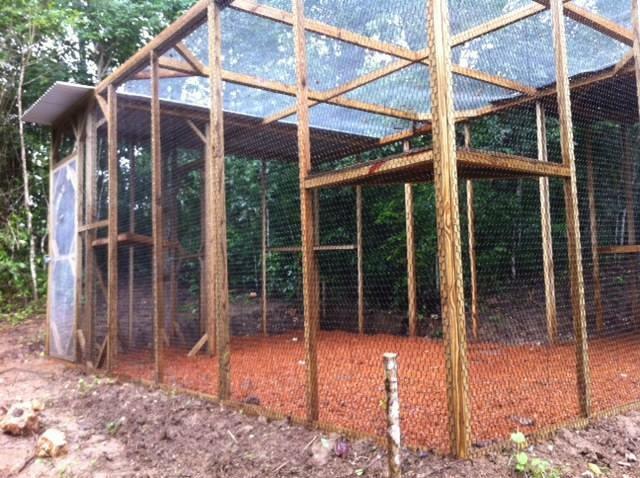 Thanks to Sam Glionnas excellent project management we were able to build a first rehabilitation cage in the Crested Cara Cara Reserve (across the street from BWRC). Throughout the year we also hosted a number of student groups, volunteers and interns including professional interns, Dr. Angela Gimmel of Switzerland and Dr. Jennifer Riley of the USA. BWRC hosted student groups for NMSU, University of Florida and UCLA. In 2013 BWRC hosted 26 graduate or undergraduate interns for the Wildlife Institute. 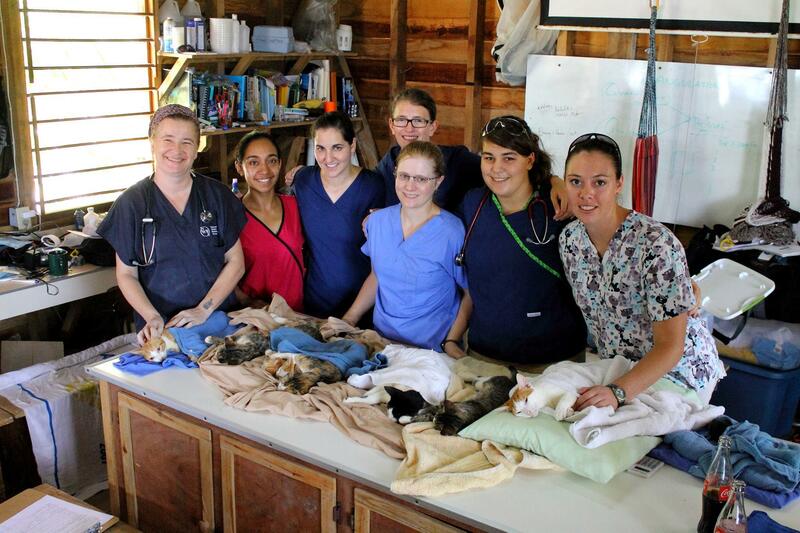 Thanks to our interns and veterinarians as well as our community partners BWRC held or supported domestic spay and neutre clinics in Sarteneja, San Ignacio area (3) and on Tobacco Caye. Last we would like to share an insight of aims for 2014. We want to continue offering our wildlife services and additionally would like to develop the veterinary emergency response with the Forest Department. 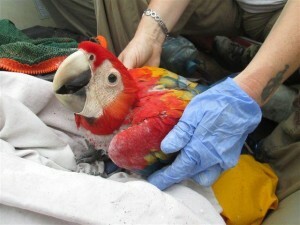 In our aims for field work is the continuation of Scarlet Macaw support. We hope to expand the capacities for rescue and rehabilitation of small mammals. At the moment we are seeking a small animal veterinarian for the increasing referral services and a second full-time employee to fill the post of receptionist/assistant. This will give our first employee the opportunity to launch herself into educational outreach and producing biannual clinic newsletters. We take this opportunity to thank all our supporters, donors, students and volunteers once more. We could not have done it without your tremendous help! Finally we would like to particularly thank Susanne McMillan for all of her assistance in book keeping. Please do not hesitate to ask if you have any questions. Suggestions are welcomed and we hope you will continue to help us help the wild critters of Belize, and some domestic ones as well. HOW TO HELP? 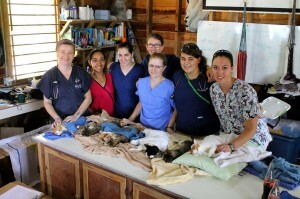 Find our wish list for material, supply and equipment donations on the website www.belizewildlifeclinic.org , consider volunteering some time or just make a donation via PayPal.